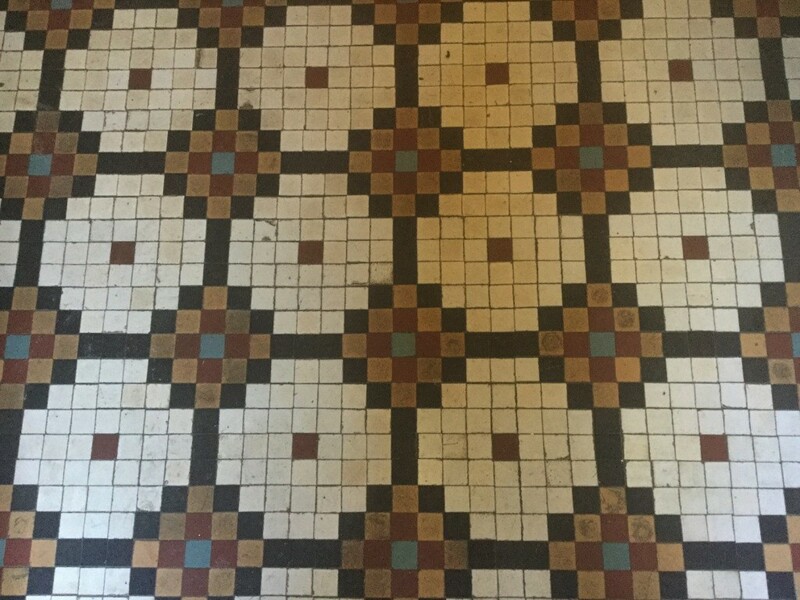 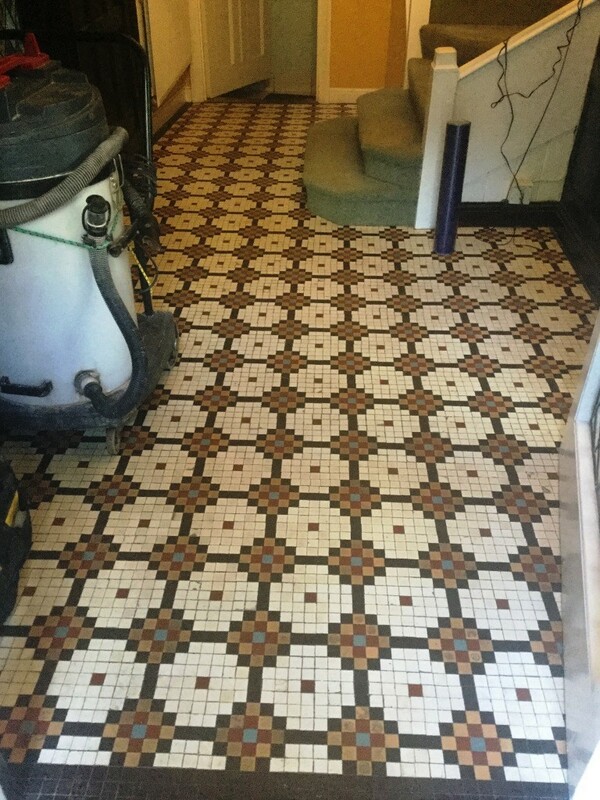 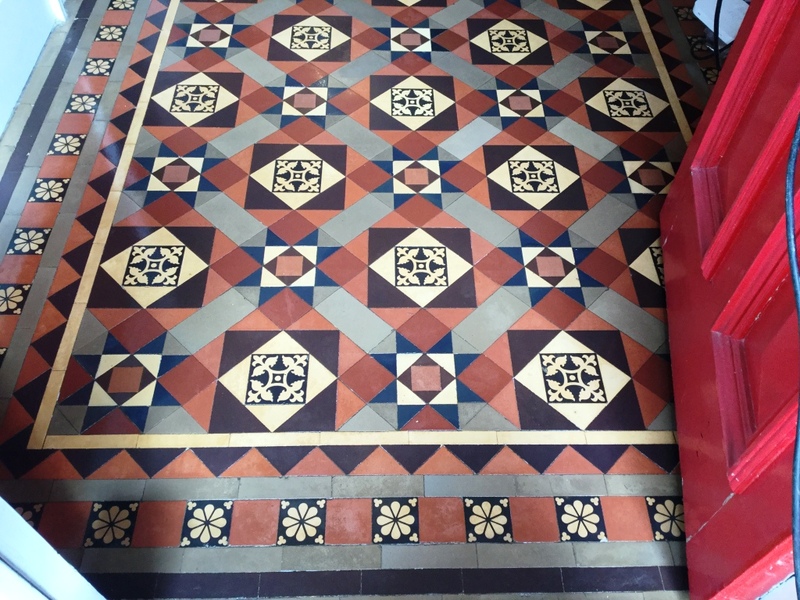 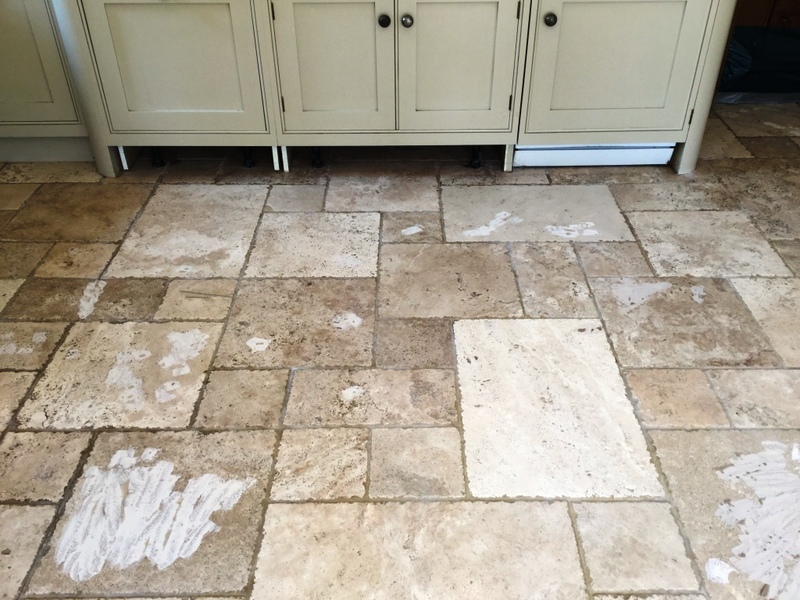 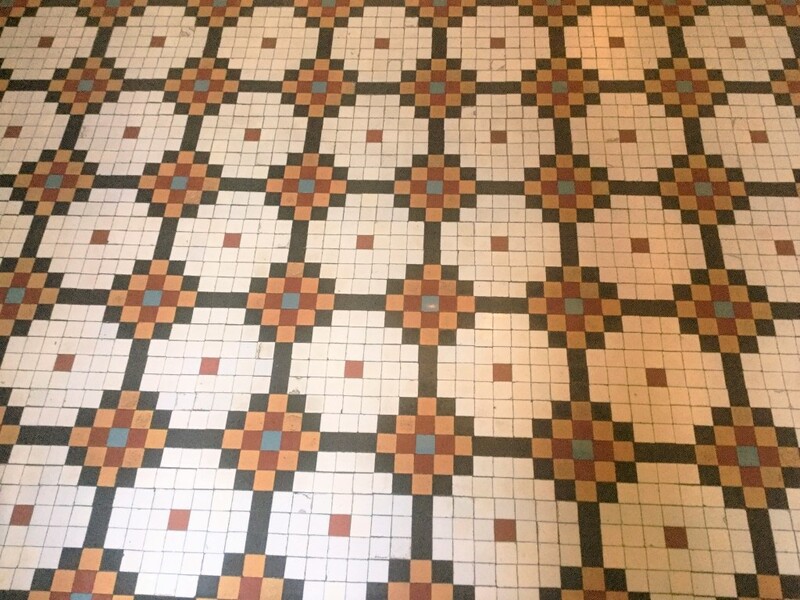 This customer in Hannington had a badly soiled and stained rough sandstone tiled floor which they were finding extremely difficult to keep clean. 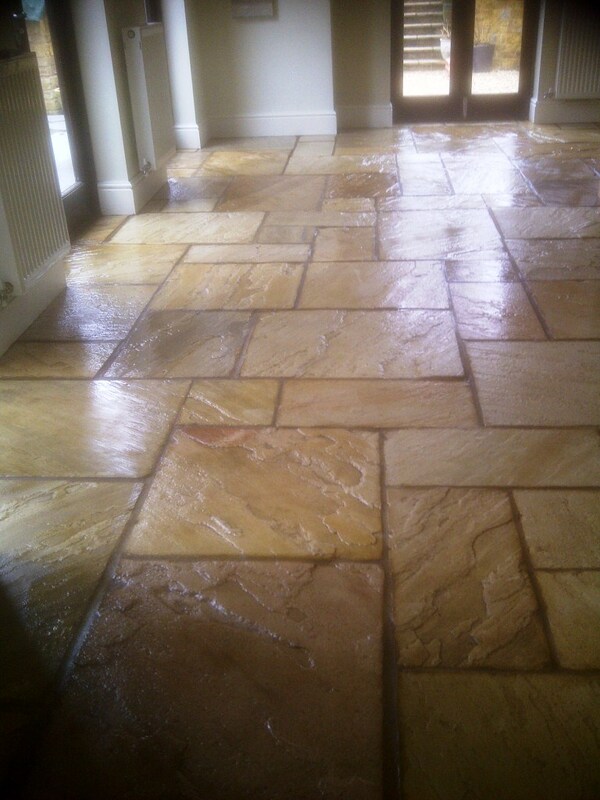 It was apparent that the previous sealer was no longer working well and so the only solution was to strip and clean the floor then re-seal. 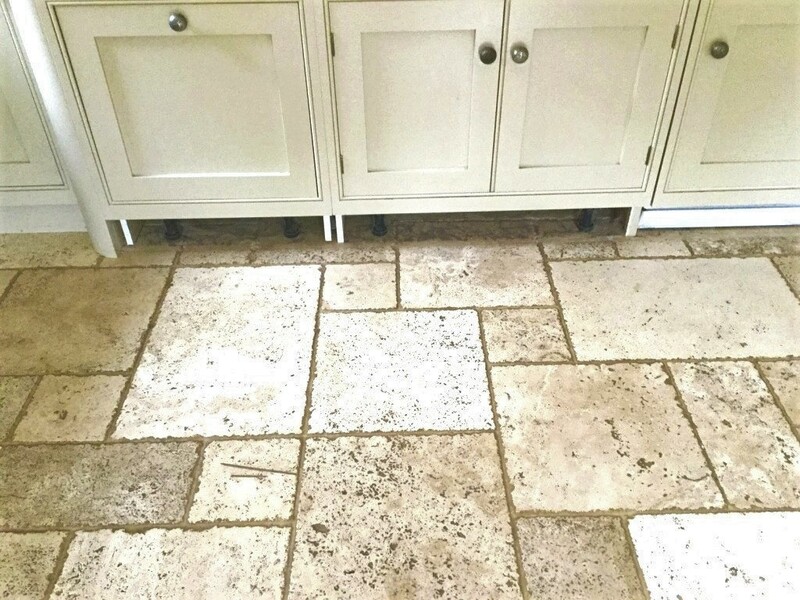 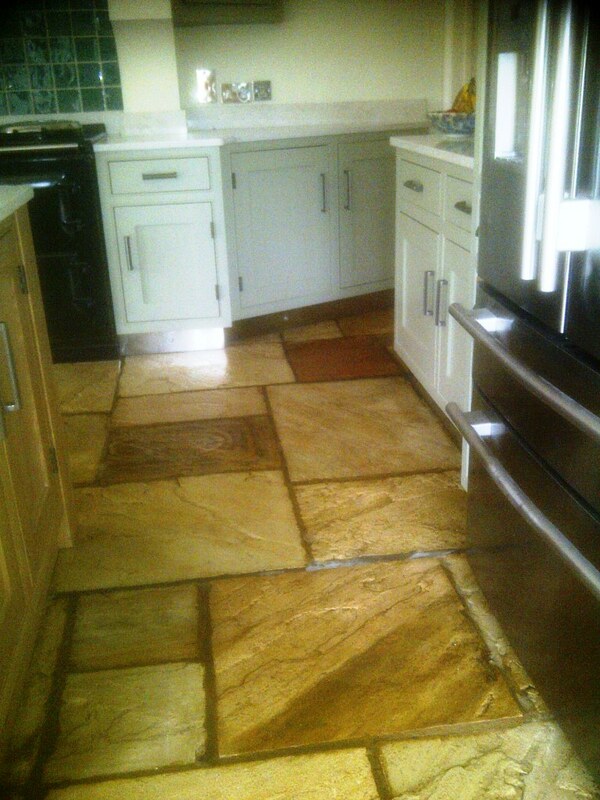 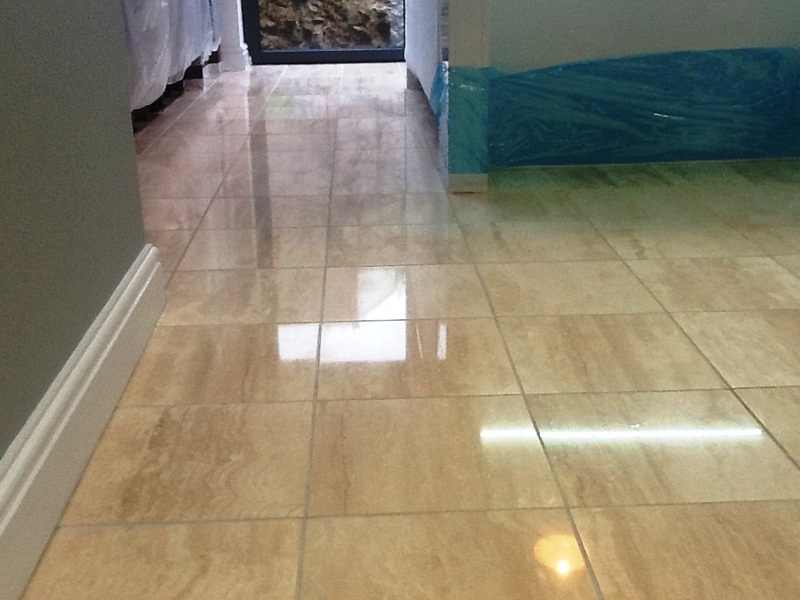 I stripped the floor using a strong dilution of Tile Doctor Pro-Clean combined 50/50 with NanoTech UltraClean to produce a strong stripper and cleaning solution that is safe to use on natural stone. 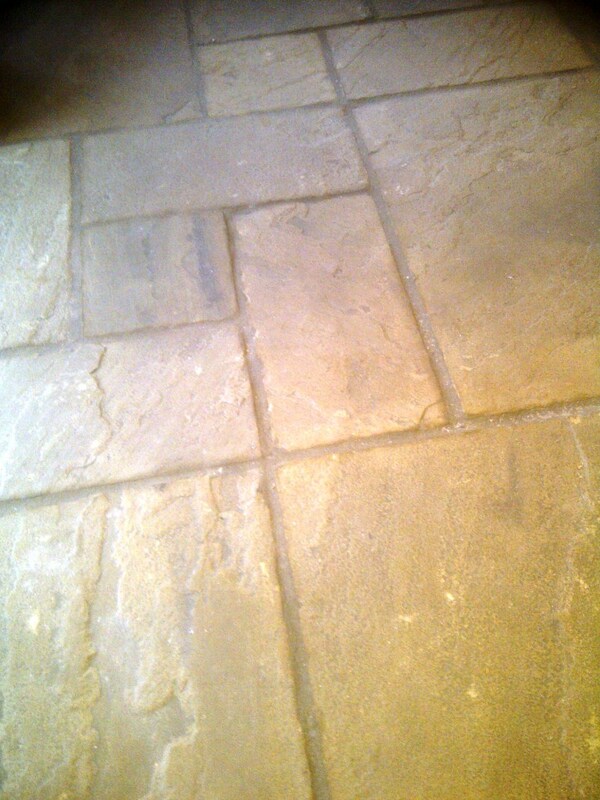 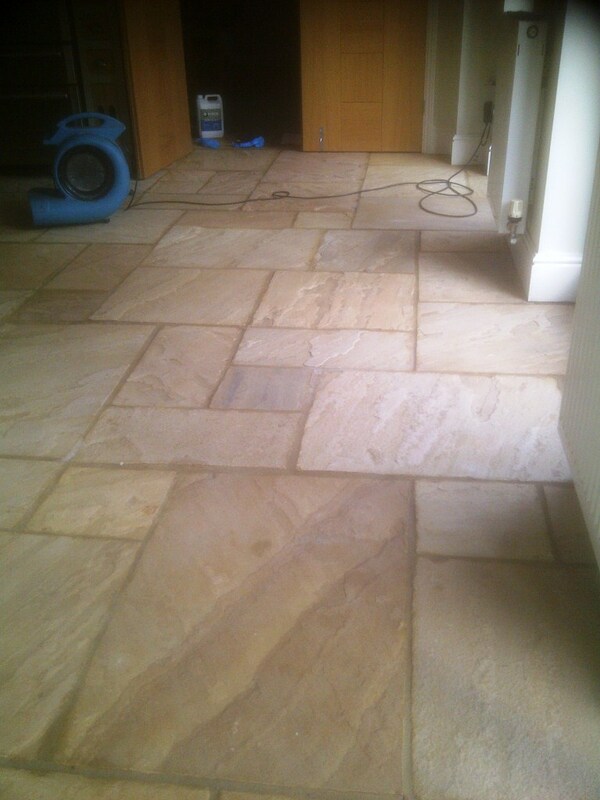 This was worked into the tile using a rotary machine fitted with a scrubbing brush rather than a pad to cope better with the uneven finish of the rough Sandstone. 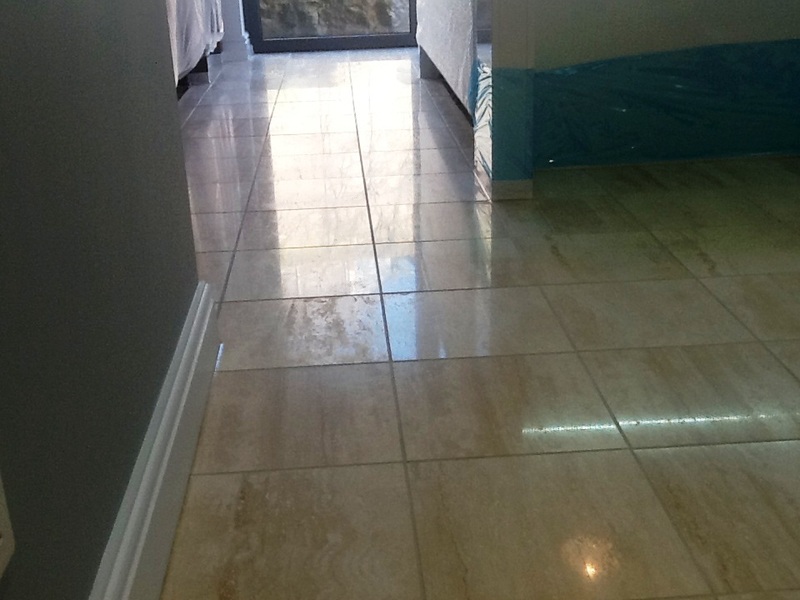 This activity was then followed with a high pressure spinning tool operating at (1200psi) in four to five metre square sections. 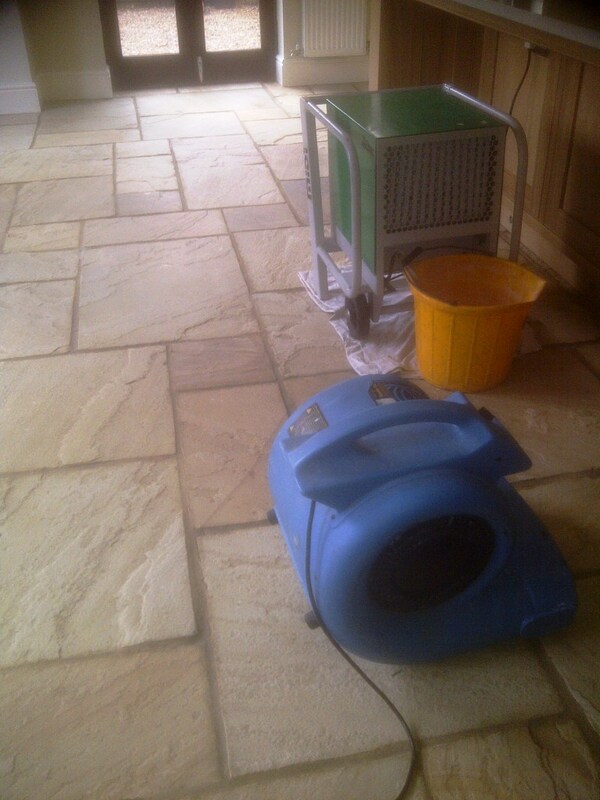 The spinner tool washes the tile surface with high pressure water and also extracts the water from the surface simultaneously which dislodges and loosens built up ingrained grim from the tiles and grout. 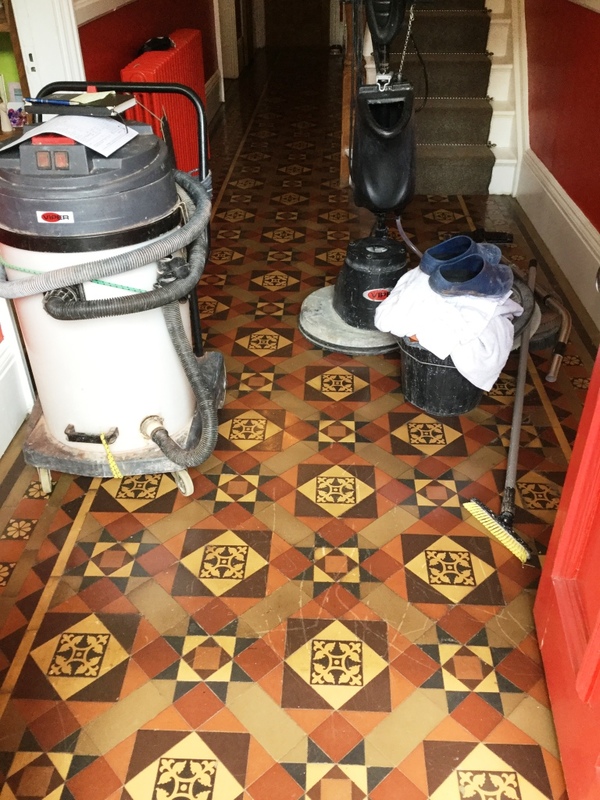 The floor was now clean and free of old sealer and was left to dry for a couple of day aided by turbo fans and dehumidifiers which we left at the property. 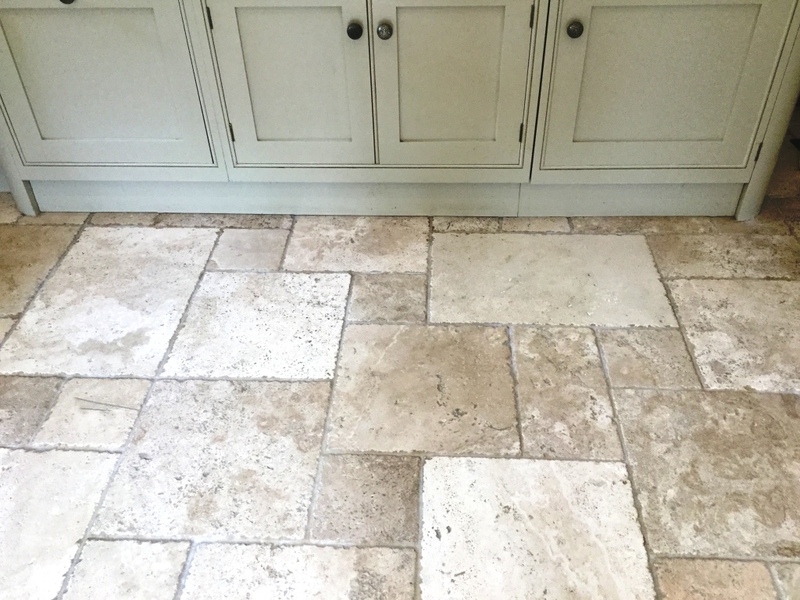 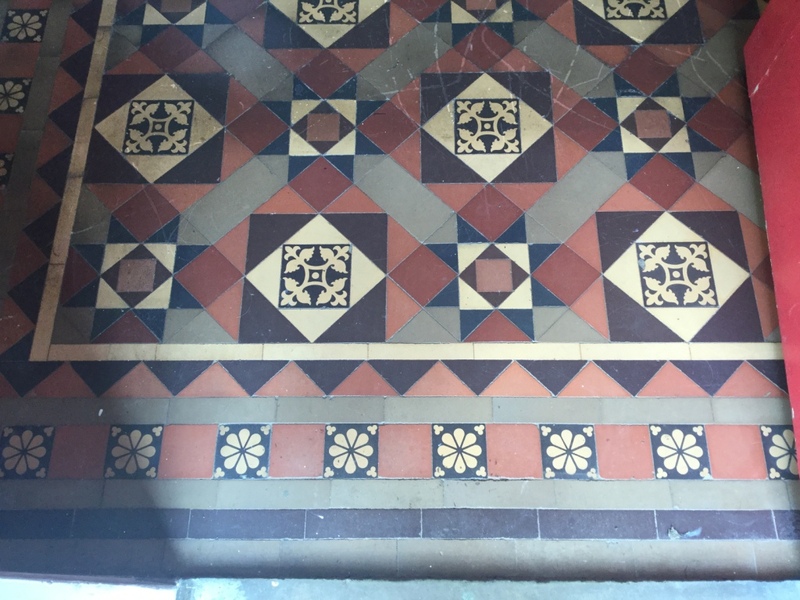 When we came back we first tested the floor with a damp meter in a few different locations to make sure no dampness remained in the stone, fortunately the machines we had left behind had done their job and the floor was completely dry so we started to seal the floor. 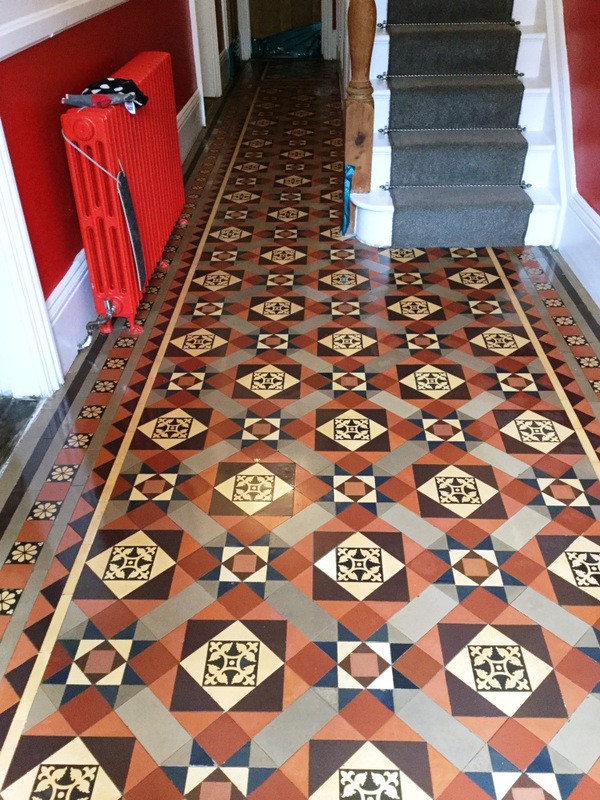 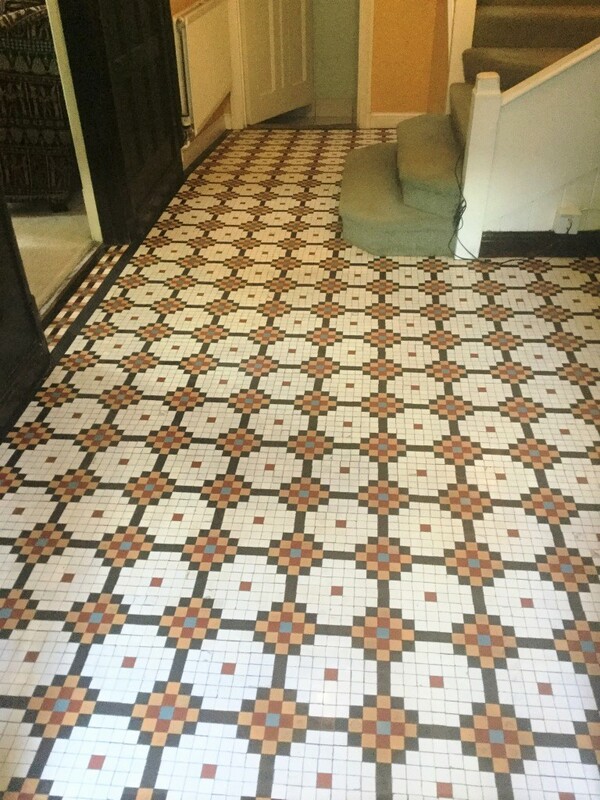 For this the customer had chosen Tile Doctor Seal and Go which adds a high gloss finish as well as lifting the natural colour in the stone.